The technology of Bluetooth has evolved quite well, lately. 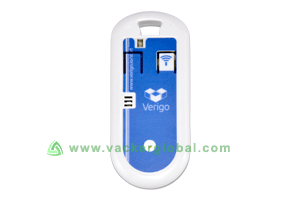 Vacker Saudi Arabia or KSA supplies Bluetooth Data Loggers that use Bluetooth technology, to regions or areas like Dammam, Riyadh, Al Khobar, Jeddah, etc. Many of us still believe that Bluetooth is confined to mobile phones only. But in reality, this technology has evolved to a higher level. Bluetooth is generally used for transferring data from one end to another without the use of any tangible connections and hence called wireless transfer. But it can only be used to transfer data over a very short distance. The application of Bluetooth is slowly and steadily making its mark in the field of communication and more importantly data logging. There are Data Loggers that have in-built Bluetooth which facilitates to get access to the data stored to the certain device. The access is made through a short range wireless transfer which can further assist to monitor, configure and download data from the accessed data logger using any designated smart phone. 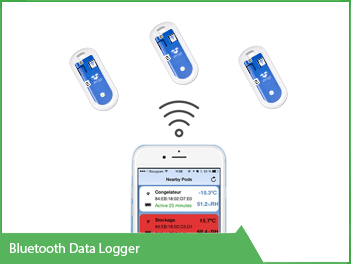 There are a numerous advantages of using a Bluetooth Data Logger in comparison to any other wireless technologies. These days we suffer from low battery life of our gadgets but this technology has very low power consumption attribute best for high power consuming applications. This technology is compatible to both Android and IOS on a very wide range of devices. Limited communication range is the main shortcoming of this type of communication. It has a communication range of 5 to 300 meters (15 to 100 feet). However the range and the rate of data transfer may vary slightly depending upon the model of device and the conducive environment in which the transfer is being made. 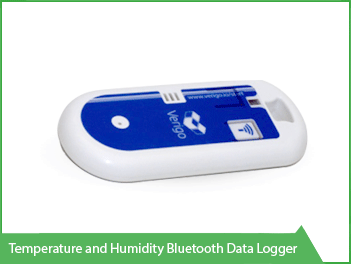 Vacker Saudi Arabia or KSA supplies this model of Bluetooth Data Logger in regions such as Riyadh, Al Khobar, Dammam, Jeddah, etc., that has the capacity of measuring and storing over a million readings of various parameters such as humidity, temperature, light, pressure etc. 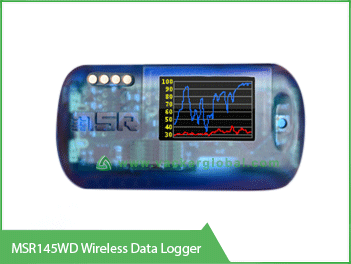 This wireless data logger comes with a recorder with wireless communication. This data logger has a bright graphic (OLED) display and consumes very low energy. There is also a provision of web based service called the MSR smart cloud in order to monitor data in the logger from any comfortable location. However, this provision is considered optional. It can measure and record various parameters as: temperature, humidity, light, pressure, acceleration all at the same time. It has an internal non-volatile memory which has the capacity of storing a million readings of parameters. It has an OLED display which can show graphs of data recorded. The data that is recorded in the memory can be monitored using phone, tablet or any computer with the help of an optional cloud storage called the MSR smart cloud. It has an in-built Bluetooth for transferring data to the MSR smart cloud. It has Lithium Polymer battery which can be charged from a PC using a USB cable. Data recorded in various loggers can be synchronized to a single device. 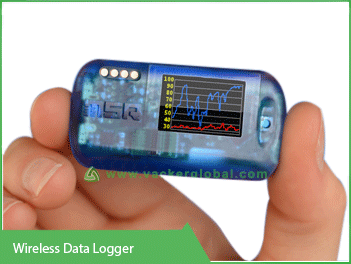 Vacker Saudi Arabia or KSA supplies this kind of Bluetooth Data Logger in regions such as Riyadh, Al Khobar, Dammam, Jeddah, etc., that is also known as pods. These pods are used to record and wirelessly transmit the data readings of desired parameters to the desired smart phones or tablets. There is an application known as the VERIGO app to view and download the data from the storage. The pods can be programmed separately for each monitoring session. It can be done by providing a description, scanning a product barcode or setting up a desired temperature/humidity levels. While using the mobile application, it allows the users to view all the pods from even 40 meters away with their respective present temperature or humidity readings. This app can directly email data in PDF/CSV format directly from the device. Using a VERGIO secure web application, all the data can be automatically stored in the cloud, which further allows the user at back office to have access to the data.